After obtaining her Bachelors degree in Business Administration, Carolyn enjoyed a successful career in the banking industry. Following the birth of her first child, she left the corporate world to focus on raising her children and volunteering in the community. 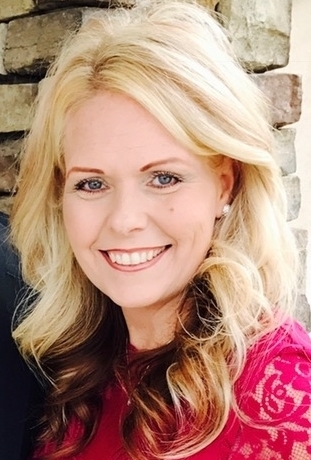 Carolyn has over fourteen years of nonprofit leadership experience, serving as a church building committee coordinator, high school booster club board president, and Operations Director for Single Mothers Outreach of SCV. In 2016, Carolyn became a Court Appointed Special Advocate (CASA) and began working with a 17-year old foster youth. She quickly realized the unique challenges faced by youth transitioning to adulthood without parental support. As Carolyn began finding ways to help the young woman for whom she was advocating, she developed a passion to use what she was learning to help as many foster youth as possible. At age fifteen, Gina found herself mourning the death of her high school sweetheart while simultaneously awaiting the birth of her first child. In spite of the odds stacked against her as a young single mother, Gina went on to obtain her high school diploma, earn a BA in Liberal Studies with a minor in Psychology/Child Development, and gain employment with the prestigious nonprofit, Teach for America. Gina eventually met and married her husband and went on to have three more children, transitioning from single, working professional to full time wife and homemaker. Gina continued to advocate for children by heading many philanthropic projects to benefit children in need. In 2011, Gina and her husband became foster parents to two teenagers who now belong to their forever family. Gina has firsthand experience with the needs and challenges facing foster youth transitioning to adulthood and is passionate about ensuring their access to higher education. Stacey brings 30 years of experience working with children and families. Her diverse background includes both public and private sector service delivery to children with physical and mental health needs, students with learning disabilities, and at-risk youth. Stacey’s passion for helping children has extended beyond the professional realm and has touched each aspect of her life. She has sought opportunities in her community, local school system, and place of worship to educate and bring to light the many challenges of raising healthy children. As a public health nurse, Stacey worked with child protective services to place chronically ill children with foster families and coordinate services. Her special focus is working with those who have struggled with the resources to obtain and sustain services.